Take on 3 days of trekking past emerald rice fields and minority villages of stilt houses in the rugged mountains around Sapa in northwest Vietnam. An adventure tour through three of the country's National Parks, include sub-tropical and tropical forests, rich bio-diversity, flora and fauna, bird watching and hiking through a variety of habitats. Hanoi, Ha Long Bay kayaking, a night on a junk, the scenery of mountains, ethnic minority people, a fun boat trip, snorkelling in Nha Trang, and scuba diving off secluded Whale Island. What about something different this year? Try a fully customised adventure vacation from a specialist Vietnam travel agent that knows the country inside out. We're one of the few Vietnam travel agents that offer private adventure holidays and vacations that fit all your requirements and eliminate the competitive element of group tours. Choose from a variety of tailor-made Vietnam adventure holidays and tours. We can offer you a range of exciting adventure vacations ranging from mountain climbing in the North to scuba diving in the South, all individually designed to suit your personal preferences. 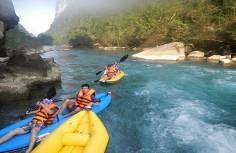 Unlike many adventure travel companies and Vietnam travel agents, we build the the activity components of our adventure vacations into a carefully planned itinerary that makes the most of your precious time. Vietnam adventure tours with Haivenu give you total flexibility – do what you want, go where you wish, travel whenever it's convenient for you, and choose a level of accommodation that suits your preferences and budget. Fully customised adventure holidays – surely too expensive? Surprisingly, not so. We don’t charge for designing tailor-made vacations or making modifications to your programme regardless of how many times you want alter the draft itineraries we send you. Furthermore, most adventure travel companies include the adventure elements and add profit on top. Haivenu is different! We tell you the prices in advance and allow you to purchase the expensive components locally to suit your pocket - no profit on top and no disguised 'add-ons'. If we're offered a discount from the operator, we'll pass the saving on to you. 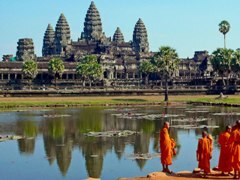 Although most Vietnam travel agents are reliable, some are tempted to cut corners to reduce their price. For our tours, safety is always top priority - no risks! For adventure holidays, we check everything, and never, never take risks. 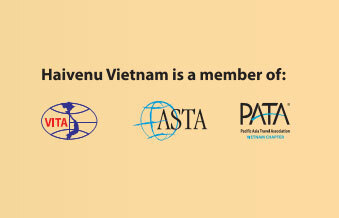 With Haivenu, a leading Vietnam travel agent, the choice is yours. 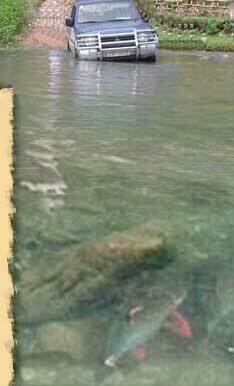 The best adventure vacations and tours in Vietnam are only an e-mail away!